Thank you for shopping at KiaraSky.com! The shipping, return and exchange policy described below applies only to online purchases made through our website. Buy safely and securely by adding the products of your choice to the shopping cart. When you are ready to submit your order, simply go to checkout and fill out the payment information to complete your order. Please allow 2 full business days for your order to be processed and be shipped. Kiara Sky is closed on weekends and major holidays. Orders received on Friday, Saturday and Sunday will be processed on the following Monday and shipped out by the following Wednesday. All orders are shipped via FEDEX GROUND unless specified. Please allow 5-7 business days for all online shipping. We ship to lots of places around the world. Please note that there are a few restricted products. For more information on where we ship, please see our FAQ. While fabulous nails are well-traveled and we will ship almost everywhere in the world. Shipping rates vary based on weight and distance; estimated cost will be calculated at check out. However, International Orders may be subject to import taxes, customs duties and fees levied by your country’s customs department upon arrival. The recipient of the shipment is the importer of record and is responsible for any of these import fees, as well as complying with all laws and regulations of the destination country. 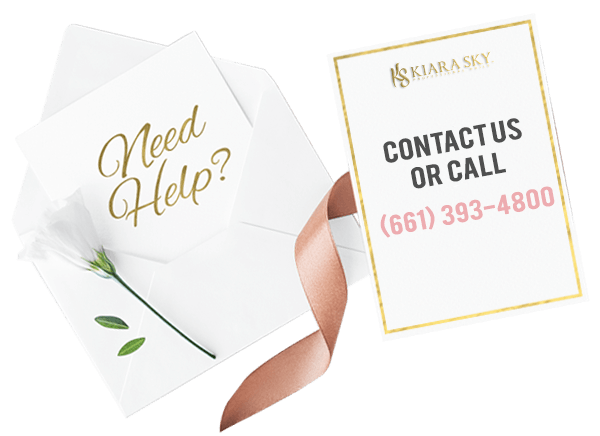 Kiara Sky does not collect duties and taxes, and as smart as we are, we can not predict what your particular charges may be. Customs policies vary widely from country to country, so please contact your local customs office for more information. We cherish all of our customers and pride ourselves on keeping the positive vibes flowing. We will happily replace products damaged during shipping if you contact us within 15 days of delivery. As a result of safety and cleanliness standards we are unable to offer any refunds, returns or exchanges for any other reasons. We’re pretty sure you will thoroughly enjoy our products anyway. Download and fill out the Merchandise Return form from the link below. Please submit the Merchandise Return form along with the damaged items and a copy of your original invoice. Please allow 2-3 weeks from the return shipped date for your account to be credited. Shipping and handling charges are not refundable. Merchandise Return Form, click here.